There is no better feeling than to walk in confidence. To walk in confidence is to know that you are capable of taking care of yourself. 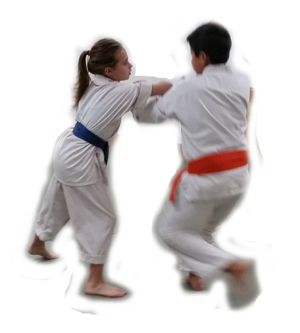 To provide a class experience that allows for both interaction among students as well as individual attention, class enrollment/dojo membership is limited. We are currently accepting new students during our open enrollment period. Please contact us immediately to ensure that your spot is secure. Dojo membership allows students to participate in any of the standard classes for which they are qualified to attend. Members may also train at the Dojo during any of the open practice times listed on the current schedule.